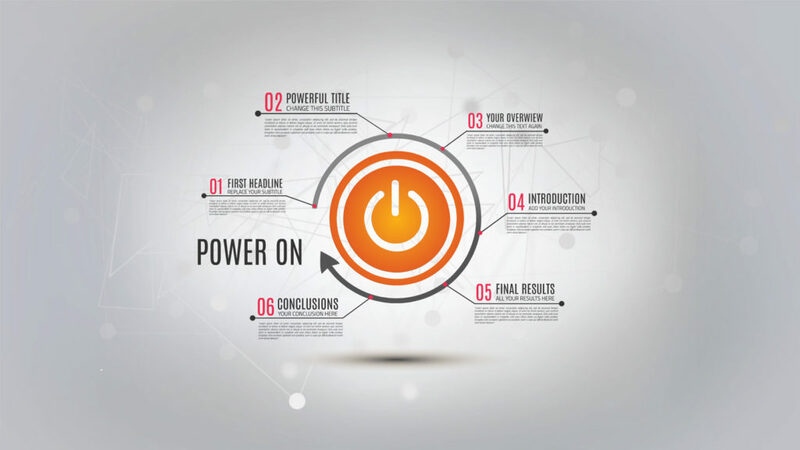 Prezi Presentation Template presenting a process with power on switch and arrow. Press the metal design grey button and presentation will start as button turns orange. Recommended for technology related topics – connect computer, show hardware related problems, electricity, energy, electronics, global topics. Could be a motivational presentation by motivating to start by doing something useful. Go and start. Control the technology by switching power on and connecting to the internet. Change headlines, texts. Add videos, photos, symbols. This entry was posted in Best Prezi presentation templates and tagged background, black, blue, business, button, circle, click, computer, connect, control, design, electric, electricity, electronic, energy, glow, go, gray background, hardware, light, metal, off, on, pc, power, power button, Power on, press, push, round, shiny, sign, start, STOP, switch, Symbol, technical, technology, white.